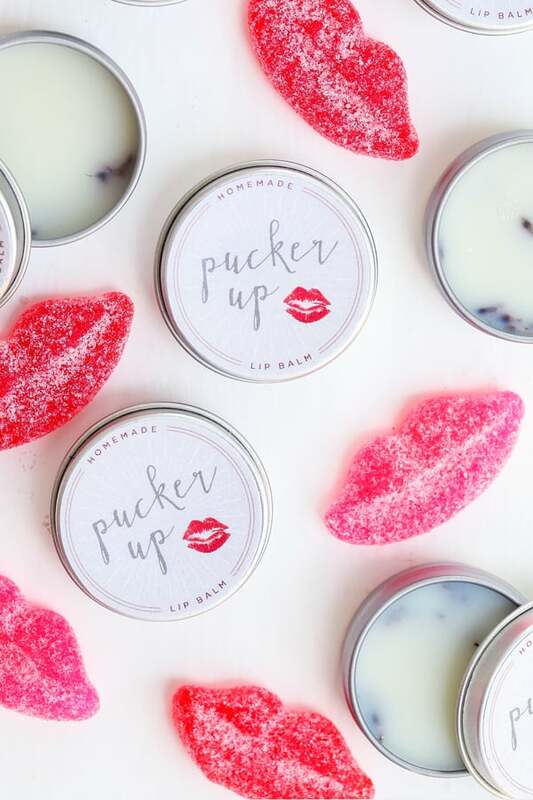 This Valentine’s Day give the gift of smooth, kissable lips with this easy recipe for lavender lip balm. And we created a charming printable to go along with it!! Details below. 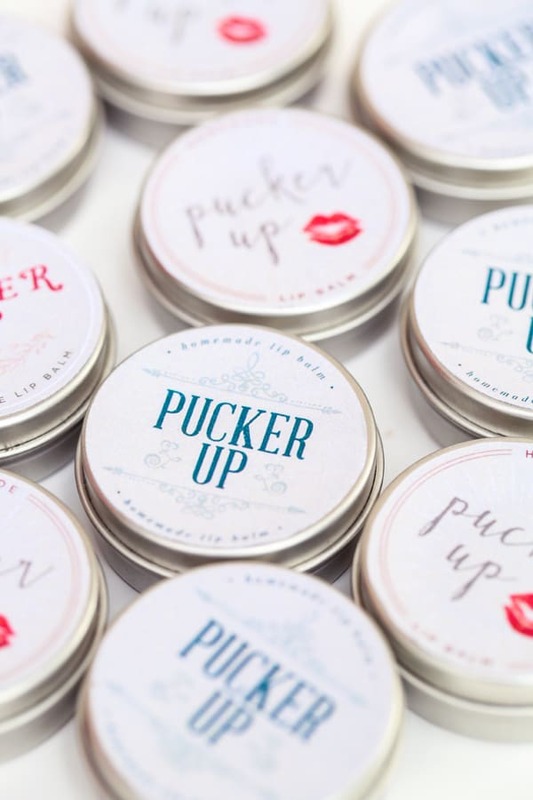 Supplies: 1.5″ round hole puncher, sticker paper, round lip balm tins, shea butter, coconut oil, lavender essential oil, beeswax, dried lavender. 1 tablespoon dried lavender, chopped. Melt all of the ingredients in a medium sauce pan on low heat. Pour into round pots and let it cool and harden. 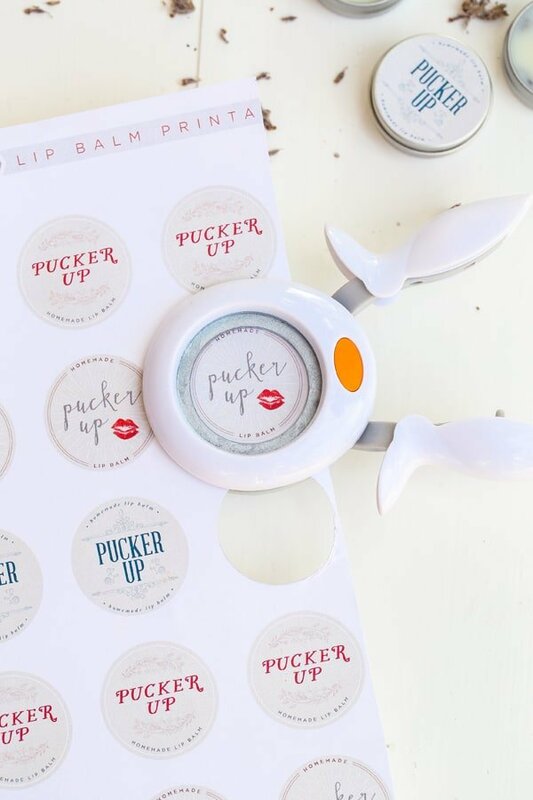 Print the Sugar and Charm Pucker Up labels on sticker paper. Then use a 1.5″ round hole puncher to cut each of them out. 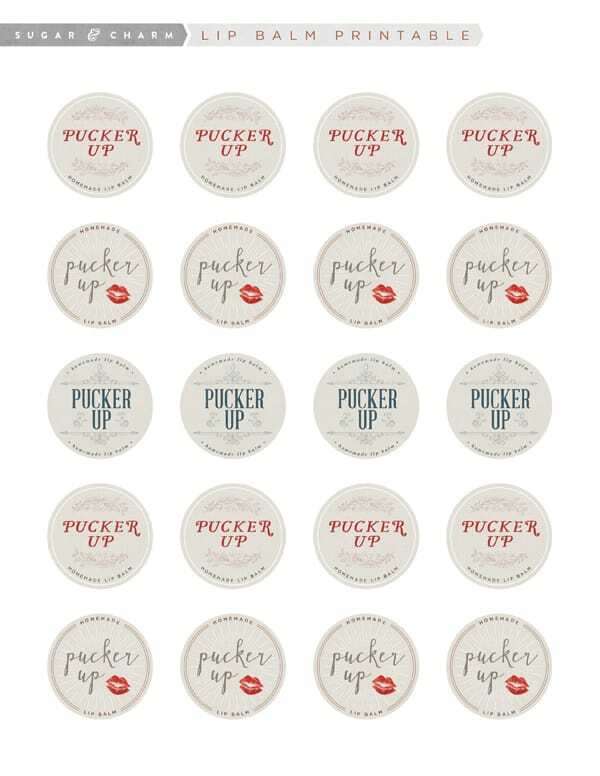 Stick them onto the round tins and pucker up! Love this! Where can I find the tins to put it in though? What a great post! I have been really conscious as of late and I am trying to only use natural and healthy beauty products. And one thing that I have noticed is that so many of the skincare products you could make at home..but I am just not always so adventurous to just try it out. So this diy is perfect for me (I am the gal that needs a recipe to follow!) Need to try this out asap, thank you for sharing! good afternoon, what a fun little project. i am trying this for sure. the darling little printable is the cherry on top! thanks!! I love your sticker labels! I was wondering if you made and sold any custom stickers? 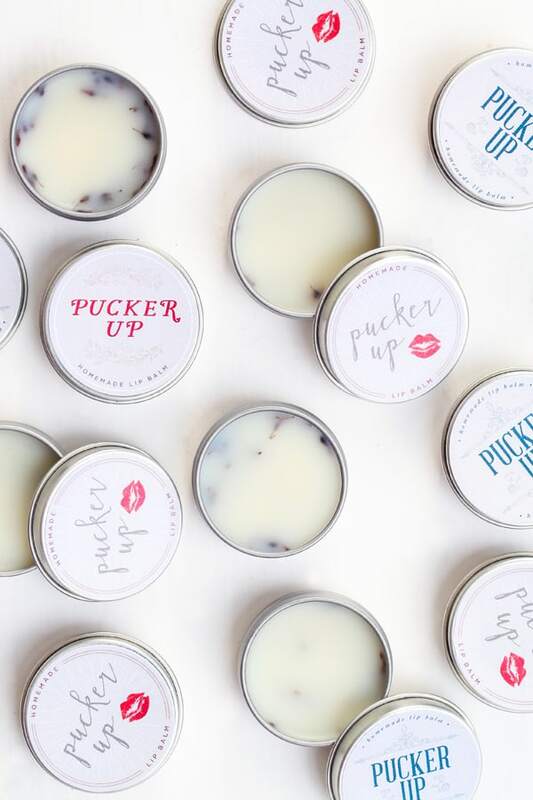 I’m getting married on Labor Day and have made my own lip balms. I’m interested in making a custom sticker label for the .5 ounce round tin containers. Please let me know if you can help! I love the lip balm tins. I will be giving these to my sisters this Christmas!!!! Can you tell me what size the tins are? Hi I was wondering how many lip balms can you make out of the recipe above?? I am honking about doing these as favors for my bridal shower. Thanks.